Earth Day 2017’s campaign is Climate and Environmental Literacy, which they hope leads to student attainment of these literacies by 2020. The Earth Day Network site has a downloadable toolkit for educators who are planning an event, as well as a place to register their project and locate other projects in the area. The site also includes downloadable lesson plans to support the teaching of climate and environmental literacy topics during the week of April 22-27, 2017. These lesson plans target both the NGSS and Common Core science standards. There is also an overview of the importance of green schools including data and statistics on their site. However, teaching specific Earth Day topics during a “special week” reminds me of the Hour of Code that is worked on in schools during its own “special week”. I feel, if we want students to become stewards of the planet or coders for life, as educators we have to include these topics and related lessons across the curriculum and throughout the school year. Students need to internalize best practices by getting a chance to explore many different avenues and aspects of these topics. Think of yourself when you attend an educational conference– you go to sessions with speakers with great ideas, take hands-on workshops, and collaborate with other educators for a few days. If you don’t continue to explore the things you learned or continue to communicate with your new conference PLN, you often don’t think about what you learned or see how it relates to projects you are creating throughout the school year. Learning should be a constant event for both teachers and students. The Leadership in Energy and Environmental Design (LEED) certification was developed by the U.S. Green Building Council. It is one of the most recognized of green building certifications. There are many schools that are LEED Certified, whether this occurred during new construction or renovation. The LEED Certification for K-12 Schools takes into account the health of the students, the ability of the environment to become “an interactive teaching tool” by embedding environmental lessons across the curriculum, and the variety of different types of spaces in a school. Even if your school is not trying to get LEED certified, the idea that the school environment can become a teaching tool in the area of environmental stewardship is a great one! Following are some resources to help students attain environmental literacy skills by using the school building. 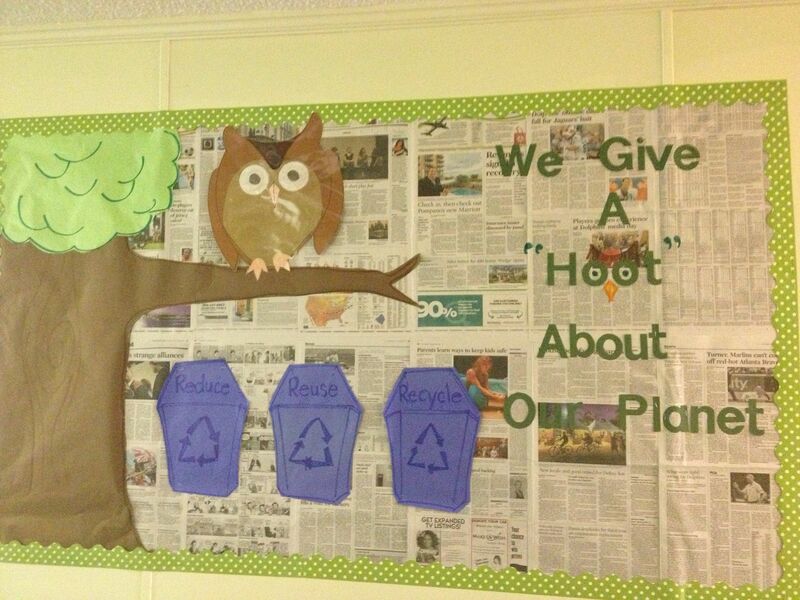 All schools have bulletin boards, and having one or more environmental-themed boards, changed out monthly and attractive and applicable to students, can help students learn some important environmental lessons. In addition, adding student “voice” to the bulletin boards engages them even more! Here are a few I like! The Ian Somerhalder Foundation offers a quick overview of twenty-one green project ideas ranging from using only recycled paper in the school to setting up a rain barrel and using it for watering the plants outside the school. Data, Data, Everywhere: Practice graphing and data analysis skills by creating a “green data wall”. At the end of each week, count up the number bottles and cans in your recycle bins and weigh recycled paper. Create a graph in your classroom to track your recycling efforts over time. I would also suggest students use the data they collect to create infographics to inform and persuade others to “go green”. Students could also create informational infographics for their school similar to this one which was created for businesses. Scholastic offers some larger-scale projects that help students realize the importance of the environment with these ten topic overviews. The Oregon Green Schools site offers a huge list of 125 different ways for students to help their school go green. The list is broken down in the categories of Waste Reduction, Recycling, Composting, Water Conservation, Energy Conservation, Hazardous Waste, Green Procurement, Transportation, and Communication. The Greening Schools site, a joint project of the Illinois EPA and the Illinois Sustainable Technology Center provides a huge list of lesson plans for all grade levels in their comprehensive collection. There are tons of Discovery Education Streaming assets that can be used to both engage and educate students. In addition, many of the videos and clipart can be used as students create projects surrounding the content of the environment. Explores some of the problems facing the environment, including pollution and climate change. Discusses some of the solutions for environmental problems, such as renewable resources, sustainability, and recycling. Examines the contributions of Rachel Carson, a scientist who made people aware of the damage being done to the environment by certain chemicals. The segment also profiles Senator Gaylord Nelson, who worked hard to spread awareness about damage to the environment. Showcases the history, development, and impact of Earth Day around the world. The program profiles key leaders who helped usher in new ways of thinking about Earth during the early 1970s, and explores how Earth Day evolved to adapt to new environmental challenges of the 21st century. The program suggests several ways in which individuals can help positively impact the environment and get involved in Earth Day activities. Profiles pollution and air quality issues in Delhi, India, the world’s most polluted city. The program explores how carbon dioxide, ozone, and fine carbon particles get trapped over India’s capital, mostly due to dirty fuels, causing long-term health consequences such as lung and heart disease. Special correspondent Fred de Sam Lazaro reports on some efforts to lessen the environmental toll on residents. In addition, Discovery Education Streaming has pulled together all of their video resources dealing with Earth Day and environmental issues into a curated content collection of videos divided by elementary, middle, and secondary school levels. 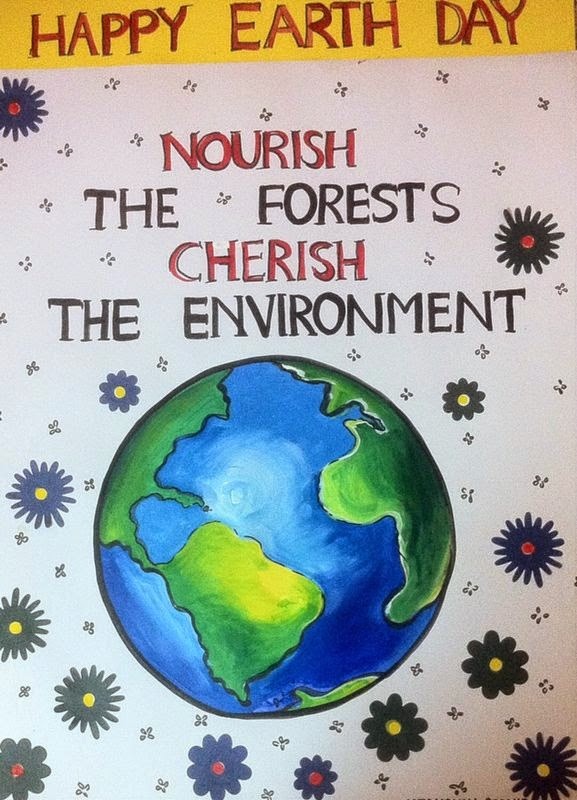 Do you celebrate environmental stewardship all year long in your classroom? Do you have other ideas for using resources found at your school for embedding environmental literacy skills across the curriculum? Please share in the comments! Thanks a lot for this perfect article, this article give me great information . and its reality .